“Yea, a man may say, Thou hast faith, and I have works: shew me thy faith without thy works, and I will shew thee my faith by my works. 19 “Thou believest that there is one God; thou doest well: the devils also believe, and tremble. Most of us would agree that we are living in the last days of mankind's rule on this earth. But are we living like we believe it? We see the evil around this nation manifested in grotesque shootings of the innocent in our schools, on our streets, Islam rising up to commit terrible acts in the name of their false god, and the multitude of sins that are growing exponentially as each day passes and we scream, “WHEN IS THIS ALL GOING TO END?” Of course, we know that the last days will become more and more evil as time passes no matter what any religion will tell you, because the Bible prophesied it would be so. There is evil rampant all around us, but is there nothing we can do about it? Are we powerless to stop the flow of evil that is overtaking our nation, our families, and our culture? (Maybe, maybe not). True, the scripture above says that the times would be evil, but is that all we can expect? Is mankind in its evil nature the only fault of the nation going into the dark times we see? The evil of man is a given according to scripture. But I say that there is a symptom that is growing in this country and has been festering for a long time, probably for the last 50 years. What is that symptom that has coming to a fulfillment? Give up? Let's look at what scripture says about where we are and why. 15, I know thy works, that thou art neither cold nor hot: I would thou wert cold or hot. 16, So then because thou art lukewarm, and neither cold nor hot, I will spue thee out of my mouth. (sin is death, and death is hell fire or the Lake of Fire, remember those? It's high time the church tells the truth about sin). The Gospel according to Jesus Christ has been watered down to the point of the average church service has become a social club gathering, that is intent on providing the masses the comfort they desire. Sin is no longer a subject discussed or preached on. Your local pastor may be into the social gospel of a feel good “Christianity”. We don't want to feel bad about ourselves, and we sure don't want to upset that unbeliever that sits in your pews every Sunday. NOOO...that would be impolite, or politically incorrect and we need the support (ie. The money) to build that bigger and better sanctuary or expand our Sunday School classrooms, or the latest buzz project that has the member's attention. If you upset them, they may take their money elsewhere. Sad, but it's true. And what of that member who leaves your churches and goes out into the world to work and play? 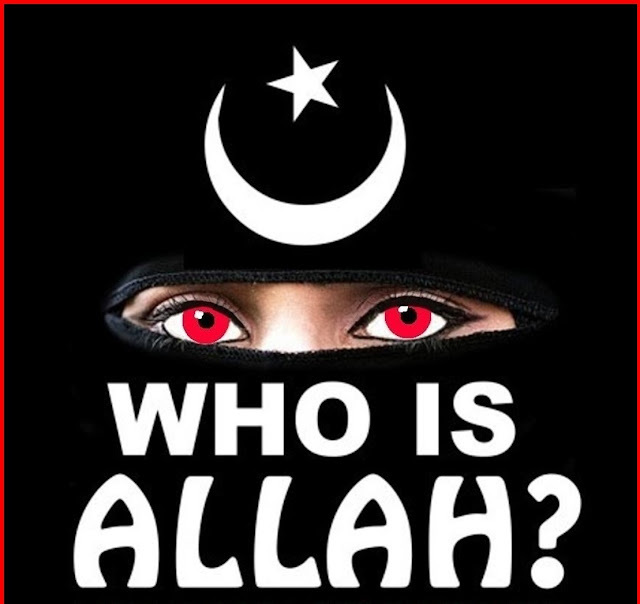 Do they live their faith, or do they assimilate into the masses of the unbelieving world? Do you see where I'm going with this? The fault of what our generation is experiencing right now, falls into the lap of the one place where morality is taught and implemented into each of our lives. That blame is at the threshold of the Laodecian “church” and the men who pastor these churches. (if you can call them that). I talk of faith, and so does James in the opening scripture, but what of this faith? You've heard the old saying, “actions speak louder than words”? In speaking of being a Christian, who has taken on the spirit of redemption, who has believed in their mind, the sinner's prayer, and believes in his heart that Jesus died for his sins, does our faith stop there? James addresses this in this chapter and following chapters...let's take a look at some of his admonitions. 14 “What doth it profit, my brethren, though a man say he hath faith, and have not works? can faith save him? 16 “So then because thou art lukewarm, and neither cold nor hot, I will spue thee out of my mouth. The churches of today, including this abomination called the “Emerging Church” relies on everything but the pure, unadulterated Word of God. They are into meditation, self awareness, motivational speaking, and anything and everything that is grounded in this world. They have lost touch with God and His requirements for being a true Christian built upon the Rock, which is Jesus Christ. The majority of the churches today Jesus said that they make Him sick. 7, And thou shalt teach them diligently unto thy children, and shalt talk of them when thou sittest in thine house, and when thou walkest by the way, and when thou liest down, and when thou risest up. 8, And thou shalt bind them for a sign upon thine hand, and they shall be as frontlets between thine eyes. 3“And hereby we do know that we know him, if we keep his commandments. 4, He that saith, I know him, and keepeth not his commandments, is a liar, and the truth is not in him. This is not about works, but where your faith lies. Is in Jesus Christ or in a religion of men? Who do you love? If you love this world, Jesus and the Father are not in you. And what is the answer of our elected leaders on the left in Congress? Gun control is their answer. The POTUS past (I'll not use his name, as it makes me sick) had a plan. I would call it a sinister plan in the same regards as Hitler had plans for Germany. And no Dorothy, we are not in Kansas!! The world we know has changed...is that the past POTUS idea of “hope and change”? It's not my idea, and probably was not yours either. And you can bet your bottom dollar, nothing is going to change for the better, until the heart of America changes and I don't see that coming in this life, unless this nation falls on her knees and cries out for redemption, and not to our government. That is the LAST place any sane American would look to today. I do have to give credit to our present POTUS, as the man is trying to turn this country around and rebuild the foundations that made this country great..But how long will this reprieve from our downhill slide into complete lawless last? One man cannot change the hearts of all the men and women in this country, only God can. Many of our leaders are as clueless about the root cause as the rest of the unbelieving world. The only answer was to teach our children the way they should go from the Word of God and as a nation, but we have failed miserably as parents, as a church, and as a nation...just look around you. A clear command comes from God to give our children a Christian education. Are we prepared to say that, because not to do so is sin? After all, God orders it. How are we doing it? What have we provided for our kid's Christian education? How much time are we spending doing it? If we have children, we can be sure these questions will be asked. Obviously, the church is not doing it's job. The parents are not doing their job, as they were not taught either. So the nation is falling apart. So the problem grows, and grows until we have a lawless society bent on destruction of other human beings because of their own pain and inability to cope. Men look to the government to fulfill their needs. Ask any bleeding heart liberal that is on food stamps and welfare. Pity the fool that looks to men and not looking to God for their salvation or provide for their needs in this life. 3 “Behold, we put bits in the horses' mouths, that they may obey us; and we turn about their whole body. 4, Behold also the ships, which though they be so great, and are driven of fierce winds, yet are they turned about with a very small helm, whithersoever the governor listeth. 5, Even so the tongue is a little member, and boasteth great things. Behold, how great a matter a little fire kindleth! 8, But the tongue can no man tame; it is an unruly evil, full of deadly poison. Understanding we live in a sinful world and evil talk and crude language is all around us. 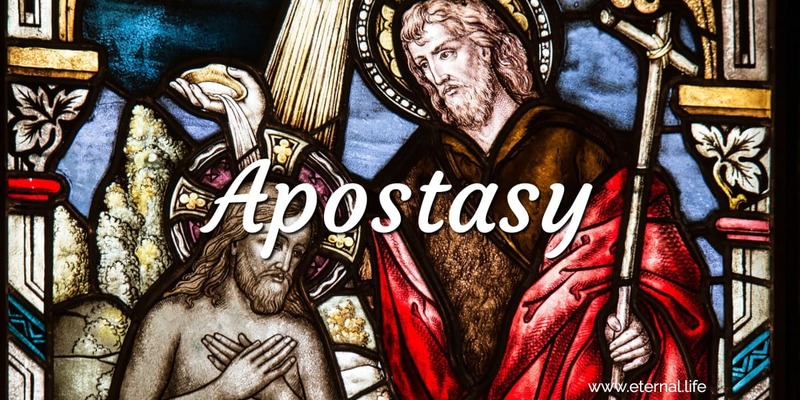 Do we take on the actions of this world, this Laodicean Age of apostasy? If we are guilty of this sin, what does it say to the unbeliever? Are they impressed with your aura of righteousness? Do you honor God in spirit and your actions? Do you esteem your neighbor above yourself? Are you kind, considerate, careful of your language, and project an aura of a bought and paid for saint for God's Kingdom? If no, then are they impressed? I think you know that answer to that one. They are not and they see no need for your luke-warm religion as it doesn't speak to them of their lost condition. Many on judgment day will think they are alright. They went to church, they paid their tithes, and they even believed in their heads about this person “Jesus Christ”. Remember the portion of the opening verse. “thou doest well. Even the demons believe and tremble” But they are not saints. Let's examine what Jesus said about these pseudo-christians, in name only. If you are familiar with the parable, Jesus separates the true Christians apart from the fake, in name only Christians. This is after the Tribulation that Jesus will judge the nations. Both thought they were doing God's will. The goats on His left, they did what they thought right in their own eyes. Pseudo-Christians, or the ones in name only, missed one vital point, they were playing the game, but didn't have the power within their lives. They relied either on themselves being a good person, or their church, or their pastor/priest, or something else in a religious nature, but missed taking on the likeness of Jesus Christ and into their heart, and their very being. They put their trust in a false religions, a false god or even no god at all. They only had the label, not the power of God or the seed planted by Jesus Christ had been over run with thorns and weeds and they were not really a new creature in Jesus Christ, but play acting. They spoke it, they read about it in their bible (rarely), they counted on their priest to get them to heaven, or they just thought being religious was good enough. You know what, it was not. That scenario can both happen before and after the beginning of the Tribulation, so applies even more so today before the true Church is removed. I speak of misplaced trust and faith in the wrong place and the wrong Person. 41” Then shall he say also unto them on the left hand, Depart from me, ye cursed, into everlasting fire, prepared for the devil and his angels” . You will have no defense, and Jesus Christ cannot/will not defend you, as you have not taken on His likeness and have not been clothed with His righteousness. God the Father will see you in all your sinful nature without being clothed in the righteousness of His Son, as the only pardon for your awful condition. The sentence will be passed and you will be condemned for all eternity to separation from God and destruction in the Lake of Fire...the second death burning with fire and brimstone mixed with sulfur. Understand one thing my reader, the nation of the United States is sadly going down in flames. How long it will take, I haven't a clue, as the time table is in God's hands, but going down she is. This past POTUS put its demise on warp speed. I only see a short stall of that complete fall in this present administration. The evil nature of men will continue to grow worse and worse long after he is gone. Morality and the love of anyone but yourself will vanish, if it hasn't already done so. Men will tear each other apart just to get what they think they want or need. If a crisis develops, men will take guns and kill anyone and everyone in their way. This government will be elected (you will do it, I won't) will come down with both feet and declare martial law. The United States of Socialist America will be upon you and despair will be the order of the day. There is coming a day, and I pray it is soon, where the righteous saints clothed with the blood of Jesus Christ will make a sudden exit from this earth. Men will be astounded. Men will be confused and looking for a reason for the calamity that has come upon this earth. Only the faithful will be removed. When I say faithful, I mean those who have taken on the likeness of Jesus Christ in all our imperfect attempt at following in His footsteps. Jesus knows each of our hearts and where our faith and our treasure lies. Does yours lie in this world, or does it lie in the next life to come through Jesus Christ our Lord? v.26 “For ye are all the children of God by faith in Christ Jesus. 11, “And that, knowing the time, that now it is high time to awake out of sleep: for now is our salvation nearer than when we believed. 12, The night is far spent, the day is at hand: let us therefore cast off the works of darkness, and let us put on the armour of light. 13, Let us walk honestly, as in the day; not in rioting and drunkenness, not in chambering and wantonness, not in strife and envying. There is coming a day, where those who have played the game of the Laodecian Church age and think they are OK who will sadly find out that they were not OK...at least not in God's eyes. They have rejected the one thing, the One Person who could have changed their destiny and gave them the right to be called the “sons of God”, but alas, they have succumbed to the spirit of the Anti-Christ and been lulled to sleep in a Laodecian mindset and having a form of Godliness, but denying the power there-of. 5, “Having a form of godliness, but denying the power thereof: from such turn away. This age is fast closing and the Tribulation spoken of in Daniel's prophesy could be right around the corner, just out of sight. When that time period begins, then to be a Christian will come with a higher price than even it does today. Let us not rely on man, or the apostasy that grows in luke-warm churches of this Laodecian Age, but let us turn to the only source of our salvation and victory over this world.